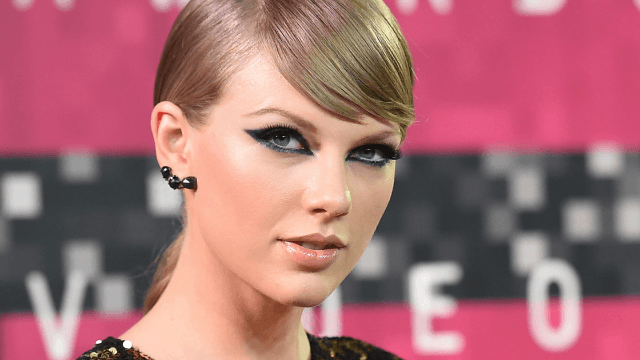 Resourceful fans use Post-it notes to send Taylor Swift support during her groping trial. Taylor Swift is currently in the midst of testifying in a trial against DJ David Mueller, who allegedly groped the singer in 2013. The proceedings are taking place at a Denver courthouse, which is located across the street from an office building. As reported by Glamour, residents of the office building have been sending Swift messages of support by sticking Post-it notes in windows facing the courthouse. As noted by Glamour, several journalists who visited the courthouse to report on the trial tweeted out photos of the windows. As the trial has gone on over the course of the week, the Post-it messages evolved into ones inspired by Swift's music, such as "Fearless," "I knew you were trouble!" and "Haters gonna hate." As of Friday afternoon, no ruling has been made at the trial. If you're unfamiliar with the case, Glamour explains that Taylor Swift is suing Mueller, as he allegedly he reached under her skirt and grabbed her rear end as they posed together for a photograph in Denver four years ago. Mueller previously sued Swift for $3 million in damages, because he believed her accusations caused him to lose his job. In return, Swift is suing him for just $1. Here's hoping justice is served–and swiftly.